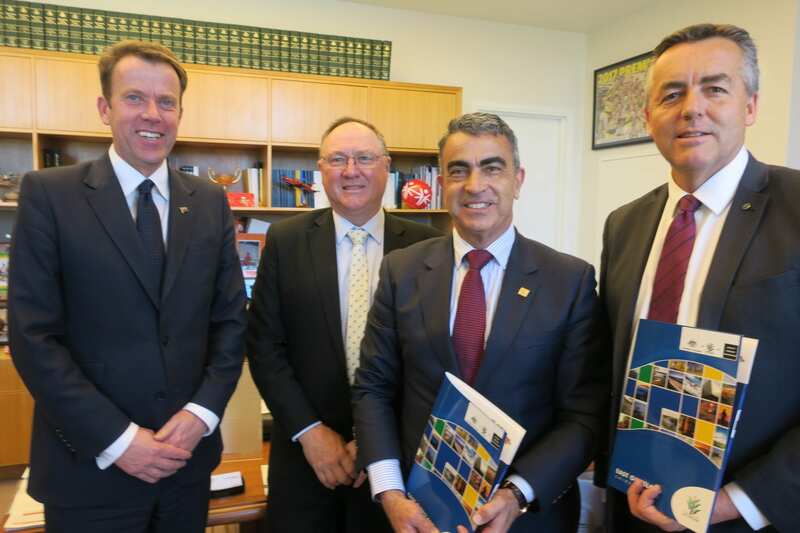 Federal Minister for Education Dan Tehan pictured with East Gippsland Shire Council representatives Gary Gaffney and Joe Rettino and Member for Gippsland Darren Chester, who today announced Federal Government funding to establish a Regional Study Hub. A university training hub will be established in East Gippsland to provide tertiary education opportunities for students to study locally via distance education. Federal Member for Gippsland Darren Chester announced $595,000 from the Federal Government to establish a community-owned Regional Study Hub, which he likened to a ’virtual university’. “The training hub will use the latest technologies so that students who cannot relocate to Melbourne for a range of reasons have the flexibility to study locally for all or part of a degree,” Mr Chester said. Mr Chester said the hub would make a tertiary education possible for the many families who cannot afford the cost of relocating to Melbourne and supporting a second household. “Helping young Gippslanders achieve their full potential has been one of my highest priorities as a local MP and this is a great win for our community,” Mr Chester said. “Gippsland has one of the lowest university participation rates in Victoria primarily due to affordability, which has a flow-on effect in our schools affecting aspiration. “The proportion of East Gippsland students enrolled at university in 2016 was less than one third the national average. Gippsland East Local Learning Employment Network is the primary partner, however, this project is a collaboration between the LLEN, East Gippsland Shire Council, Federation University and Federation Training. Mayor Natalie O’Connell branded the announcement a “game-changer”. “This is one of the most exciting projects I’ve been involved with in terms of addressing the disadvantage of youth from our region having equity and access to tertiary education. “East Gippsland Shire Council, and particularly former mayor Joe Rettino, has been advocating strongly for this concept since first viewing the Country Universities Centre at Cooma. “It’s an opportunity for us to create Centre of Excellence (COE) on our regional strengths for example, working with the The University of New England to develop agricultural courses in partnership with the local horticultural industry that are delivered from East Gippsland.